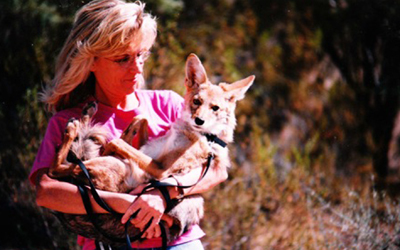 In the early 1990s, the foundation was built for what would become one of the leading wildlife sanctuaries and rehab facilities in the southwestern United States. 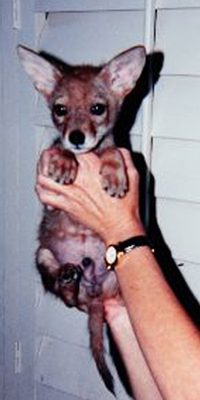 The story begins with Linda Searles - one woman with a passion for all living things and a life-changing encounter with an orphaned coyote pup named “Don.” A local farmer accidentally ran over a den of newborn coyote puppies with his tractor, leaving one sole survivor. The farmer tried to seek help for the tiny wild creature, but didn’t know where to turn. Eventually fate and kind people brought Don coyote and Linda together. At that time, there were no vets that would treat an orphaned or injured wild animal. The need for a rehabilitation center specializing in mammals became painfully obvious. And so, the vision of Southwest Wildlife was born. Linda’s dream became a reality with the purchase of 10 acres northeast of Scottsdale, Arizona, in 1994. That blank slate of open desert slowly transformed into a shady oasis for wild animals in need, as enclosures were built and trees were planted. 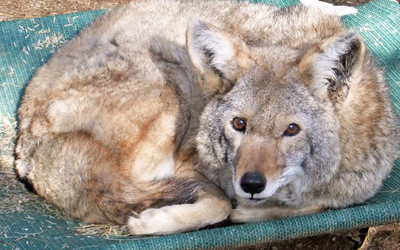 Over the years, Don coyote was joined by countless other injured, orphaned and displaced mammals that had no place else to turn. Most were rehabilitated and released back to the wild, while others remained at our Nature Center and sanctuary to live out their lives in peace. Don coyote is no longer with us. He lived happily to a ripe old age with his soul mate Ashley. He served as an ambassador for his kind, teaching thousands of visitors about the importance of wild animals in our ecosystem and the beauty of our natural world. Southwest Wildlife Conservation Center (SWCC) continues its mission to care for wild mammals in need and educate the community about wildlife. We continue to learn and grow, as we accept the new challenges we are met with each and every day.